Editor’s note: Martin J. Sheil is a retired branch chief of the IRS Criminal Investigation division. Irakly “Ike” Kaveladze is, or at least has been, a suspected money launderer in the employ of one of Russia’s most powerful oligarchs. His boss is Aras Agalarov, a Russian real estate mogul known in some circles as the “Russian Donald Trump,” reputedly the 57th richest person in Russia and a close friend of Vladimir Putin. Ike is currently a senior VP in charge of real estate/finance in Agalarov’s firm Crocus Group, where he started working in the early 90s. In a 2013 Las Vegas videotape of Donald Trump talking with Agalarov’s son Emin — a pop singer in Russia — there is Ike lurking behind Emin, listening in. Tall, thin, wearing glasses and unremarkable-looking in every way, Ike serves as Aras Agalarov’s operative. In so doing, he serves as a Russian government operative, which means Putin’s operative. Clearly, the American bank accounts were being used as a conduit to move money out of Russia during a period of upheaval in that country. Aras paid Trump $14M to bring the Miss Universe contest to Moscow in 2013, and engaged in multiple discussions and plans to enter into a partnership with Trump to build Trump-type towers in Moscow. Ivanka made several trips to Moscow to explore appropriate sites. Ike was born in Georgia, which was then a province of the Soviet Union. He immigrated to the US in 1991 after earning his college degree from the Moscow Finance Academy. Once in the US he opened a corporation in Delaware called International Business Creations (IBC) and served as its president. He also opened a sister Delaware corporation called Euro-American Corporate Services in 1996. 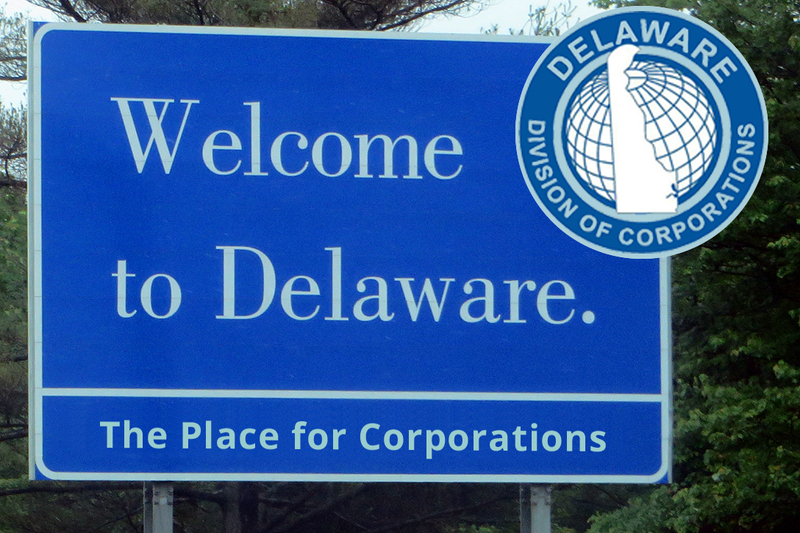 Delaware requires little identification and provides some ownership anonymity for its corporations, making it the perfect state to form corporate shells for folks and entities that want to cloak their financial maneuvers with a veil of secrecy. After creating an estimated 2,000 shell Delaware corporations under anonymous ownership, Ike opened up bank accounts for approximately 50 Moscow-based Russian “brokers,” using the shell companies already established in Delaware. Ike also opened 236 bank accounts at Citibank and Commercial Bank of San Francisco. Almost immediately upon the opening of the accounts, funds started moving in via wire transfer. … the early use of Latvian bank accounts to secrete monies out of Russia likely portended what has become known as “the Russian Laundromat” — the conduit that funneled a reported $20 billion-plus out of Russia and into banks in Latvia and Moldova between 2010 and 2014. As quickly as the money came in from Russia and Eastern Europe, it moved on to bank accounts in places like Latvia, according to a GAO report filed in 2000. This report accounted for over $1.4B moving through accounts set up by IBC and Euro-American under shell-company names between 1991 and 2000. Clearly, the American bank accounts were being used as a conduit to move money out of Russia during a period of upheaval in that country. Multiple Suspicious Activity Reports (SARs) were filed with the Treasury Department by Commercial Bank of San Francisco due to the lack of information provided by their customers, and the movement of large volumes of currency through their accounts. Ultimately, Commercial Bank of San Francisco shut down its International Banking Department in 2000 and the bank was sold. While a criminal investigation was recommended with regard to the above-noted suspicious financial activity, no criminal indictments were issued. Ike was never indicted or convicted of any criminal financial wrongdoing. The entire case shined a spotlight on the inadequacy of the involved bank’s Know Your Customer (KYC) protocols. So what was a guy like Ike doing in a meeting at Trump Tower on the 25th floor in June 2016 in the offices of Donald Trump Jr.? The identity of the Russian brokers who sourced so much money through the 236 shell-corporation bank accounts that Ike had set up was never established. But Ike maintained employment with Aras Agalarov’s Crocus Group throughout this time. It should also be noted that the early use of Latvian bank accounts to secrete monies out of Russia likely portended what has become known as “the Russian Laundromat” — the conduit that funneled a reported $20 billion-plus out of Russia and into banks in Latvia and Moldova between 2010 and 2014. After immigrating to the US in 1991, Ike became an American citizen, received his MBA from the University of New Haven and was promoted to senior vice president at Crocus International in Moscow by the Russian Trump — Aras Agalarov. In fact, Natalia Veselnitskaya left with Trump Jr. a folder of “corporate stuff, lawyerly stuff,” about those purported “illicit funds.” Veselnitskaya is the mysterious Russian lawyer with alleged ties to the “Crown Prosecutor,” according to Goldstone, Emin Agalarov’s agent who initiated the Trump Tower meeting with his infamous emails to Trump Jr.
At the time of the Trump Tower meeting, Trump’s campaign was far behind in the polls to Hillary Clinton and in dire need of financial support. Clinton’s campaign war chest far exceeded that of her opponent. In fact, Veselnitskaya alleges that she has won 300 cases in Russian courts without suffering defeat, which seems to confirm her close association with Yuri Chaika, Russia’s Prosecutor-General, who is also known to be closely associated with Aras Agalarov. Chaika is part of the bloc in Russia known as “siloviki,” or people allied with security services — literally the people who settle disputes through force inside the Kremlin. 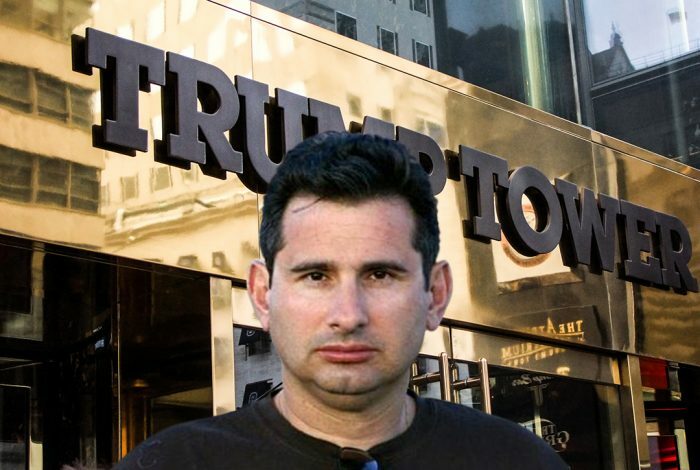 At least eight people attended the June 9 meeting at Trump Tower: Donald Trump Jr; Trump’s son-in-law and close adviser, Jared Kushner; Trump’s then-campaign chairman, Paul Manafort; Rob Goldstone — Emin Agalarov’s agent; a Russian attorney close to Russia’s Chief Prosecutor, Natalia Veselnitskaya; her translator, Anatoli Samochornov; Rinat Akhmetshin, who has admitted to having been a Soviet counterintelligence officer and reportedly worked for Russia’s Main Intelligence Directorate, the GRU — the country’s largest foreign intelligence unit; and Ike. It is possible that Ike was at the meeting as a representative of Aras Agalarov to facilitate the transfer of funds from the oligarch and the Russian government to the campaign of Donald Trump. Akhmetshin allegedly specialized in “active measures campaigns,” i.e., subversive political influence operations often involving disinformation and propaganda, according to a letter Senator Chuck Grassley (R-IA) sent to Department of Homeland Security (DHS). Radio Free Europe described Akhmetshin as a Russian gun-for-hire and Bill Browder, an American businessman with extensive experience in Russia, filed a formal complaint with the US Department of Justice noting that Akhmetshin was acting as an unregistered agent for Russian interests. Emin [Agalarov] just called and … the Crown [sic] Prosecutor of Russia met with his father Aras this morning and in their meeting offered to provide the Trump campaign with some official documents and information that would incriminate Hillary and her dealings with Russia and would be very useful to your father. At the time of the Trump Tower meeting, Trump’s campaign was far behind in the polls to Hillary Clinton and in dire need of financial support. Clinton’s campaign war chest far exceeded that of her opponent. While the campaign was going a “hundred miles an hour,” Trump and his amateur-hour consiglieres were desperate for both dirt and dollars to catch up to Hillary. Given the appearance of Rinat Akhmetshin at this meeting, it is possible that the inflammatory quote in Goldstone’s email, “information that would incriminate Hillary and her dealings with Russia…” was actually disinformation and misdirection. 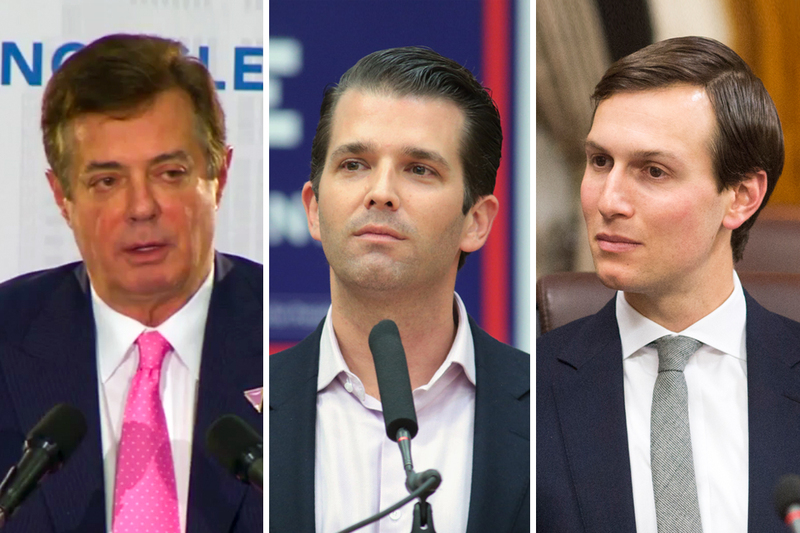 Providing dirt on Clinton was the pretext for the meeting, which prompted Trump Jr.’s “love it” response; and this pretext was at first dragged out of Donald Trump Jr., but then he dismissed that aspect of the meeting as “vague and meaningless” and claimed the entire meeting was just about “adoption,” and the Russian children who need homes. It is possible that Ike was at the meeting as a representative of Aras Agalarov to facilitate the transfer of funds from the oligarch and the Russian government to the campaign of Donald Trump. Ike has demonstrated expertise in creating shell companies with anonymous ownership, then creating bank accounts in the names of these shell companies, and subsequently moving millions of dollars through these accounts quickly and anonymously from Russia and Eastern Europe. Trump had just secured the Republican nomination and was badly out-funded by Clinton at the time, with the presidential campaign looming. What better way to show the Russian government’s support for Trump, helped along by Aras and Emin, than by offering substantial financial support in an untraceable, concealed manner — while accusing Clinton of doing that very thing? Perhaps this support comes, as Rinat Akhmetshinov described, “in a plastic folder” of “corporate stuff, lawyerly stuff,” e.g., bank accounts in corporate shell names full of untraceable funds? How ironic. How very Russian! Related front page panorama photo credit: Adapted by WhoWhatWhy from Irakly Kaveladze (Linkedin) and Trump Tower (Alex Banakas / Flickr – CC BY-NC-SA 2.0).